This is the Colombia Santa Teresita brought to you by Greenway Coffee Company. This fully washed coffee was sourced from the growing region of Nariño in Coloombia and was produced by the various small holder producers at 1,700 meters. 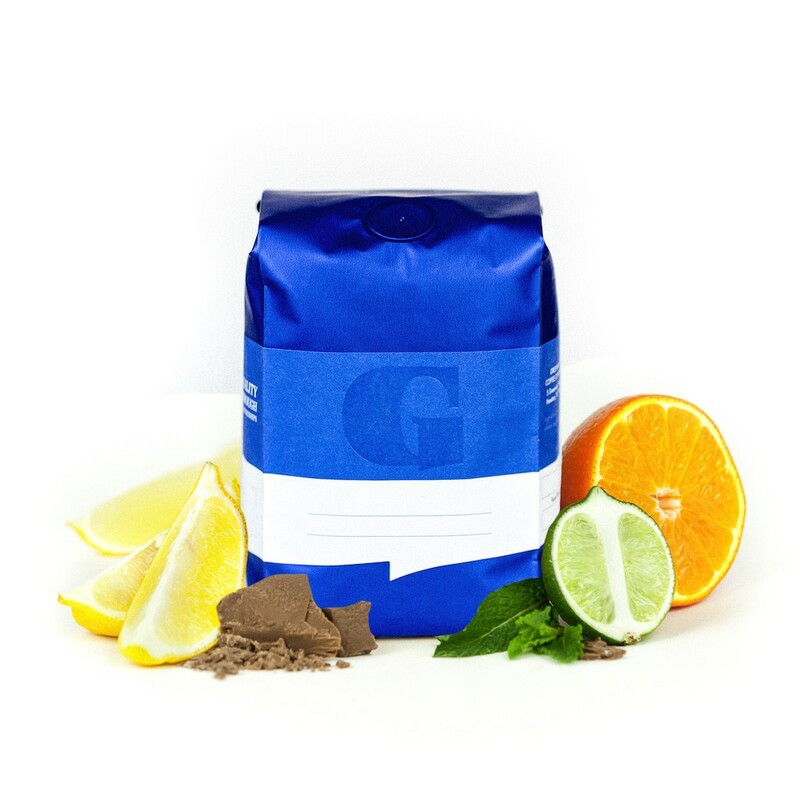 Enjoy this balanced cup with notes of dark chocolate and mild, pleasant acidity. This was probably the most unique, delicious coffee I've ever tasted. It was very sweet and fruity. You can definitely taste the tangerine notes that the packaging mentions. The best coffee I have had in a long time. Please use this coffee as benchmark for what I like for the future shipments. Thanks! Tastes as described now that I have a V60 and I can pick up on the acidity. This was a lot more citrus than I like to taste in my coffee, almost tasted sour. Nice citrus notes, didn't see the chocolate as much. Would have liked higher acidity like is seen in lots of African coffees. Good, but not as sweet or nutty as I'm used to. I might have to re-review this one after I make a few more cups. After day one, the acidity was way higher than I expected. But I may have over-extracted a bit. Edit: I should mention, it had this amazing caramel finish in my last gulp that I NEED to have again. Hopefully it shows up in each cup. Good coffee, very balanced, with a nice acidity. I wouldn't necessarily say it's the most flavorable cup that makes me keep wanting to come back to it, though. There isn't anything that really jumps out at me and makes me say "Wow". Overall a good cup of coffee. However this coffee was almost too bright. I like a bright cup of coffee, but there wasn't enough flavor for me. I would say this coffee is very mild, and wouldn't upset any coffee drinker. However in being so mild it doesn't impress either. Overall I liked this coffee. The beans were surprisingly large. The beans were a nice color and the brew was a little darker than I expected. There was one time I made it that it came out particularly sour, I'm not sure what went wrong. Otherwise I enjoyed it. Liked it about as much as the first Columbia I received. I loved the fact that it's a very light roast. Was maybe a bit too sour, but my senses aren't good enough to pinpoint it...it was a bit more "tangy" than perhaps I'd normally like. Would love to try an Ethiopia, Rwanda, or Kenya next time if possible. UPDATE: just saw the next shipment is Honduras. That sounds good, too! Another great brew! I agree with the reviews that mentioned the aroma. This coffee smelled AMAZING. It tasted good, too. But the acidity/citrusy taste was a little much for me. I like the brightness of it (I usually say "the lighter the better") but I just couldn't get over the acidity. The packaging said "cashew" but I didn't get any of those notes. The description on Misto was more accurate. Anyway, this coffee was by no means distasteful but I would say it was slightly worse than the last roast. I have not really enjoyed Colombian coffee beans for some reason but these are an except. This bag of Colombian makes me reconsider my stance against the region. Very full bodied and delicious. The citrus and chocolate notes are definitely there. I could really smell the citrus in this when it brewed. Very good cup of coffee! Underwhelming. This is not my style of coffee. It is OK, rather mild. It has some acidity, but not much in the way of fruity flavor to compliment it. This is a pretty mild coffee. Smooth but not especially vibrant. This was a decent coffee. Not a lot going on in the cup and tasted maybe a little less developed than preferred. Some grassy notes to it. Great coffee! Essentially no bitterness and perfect amount of acidity. Fantastic coffee! Easy drinking with lots of subtle flavors that become more pronounced through the finish. Have enjoyed the coffee black and with milk.A very interesting mix of chocolate, various fruits and nuttiness in the flavor. Great lighter roast without sacrificing sweetness and character. Some chocolate and spice, but for me a very pronounced dark fruit. Acidic, but not to the point of being a turnoff. I suspect this one would be great with cream for those who like their coffee that way. Personally just drink coffee black.The aroma of this coffee puts it over the top for me, just exceptional. I've been grinding beans more days than not since about 1987, and I honestly think this may be the best smelling roast I've ever come across! Just unbelievable, like the beans we grown in a black currant jelly jar or something! And that fantastic aroma carries over to the cup. Loved this one, which is saying a lot from a dark roast kinda person! Easily enjoyable cup- Smooth and structured with significant chocolate notes. I personally prefer something more vibrant and fruity. Super luxe with chocolate and brown butter flavors. Very approachable and well-balanced. really good and balanced. Not bright but some good earthy flavors.